I have always considered March 1 as the official start of spring because in my home state of Missouri that date is the opening of trout parks throughout the state. 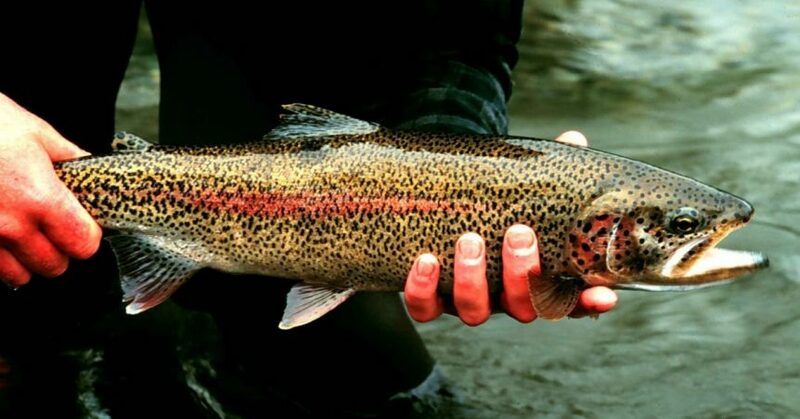 However, April is a prime time for trout fishing throughout the country when many other states start stocking the fish in their rivers and lakes. 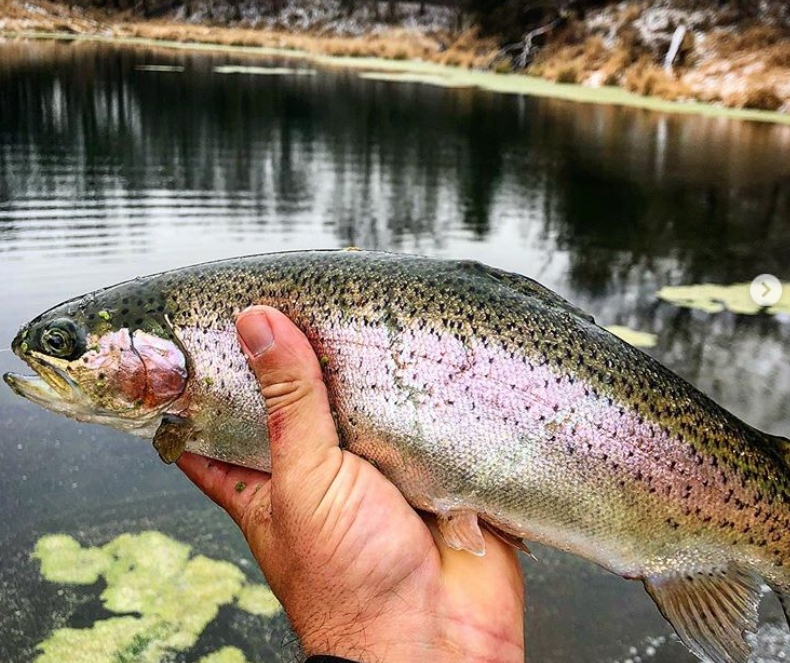 Newly stocked trout are fairly easy to catch because the fish are ready to eat just about anything thrown in front of them and have yet to be educated about lures and baits. 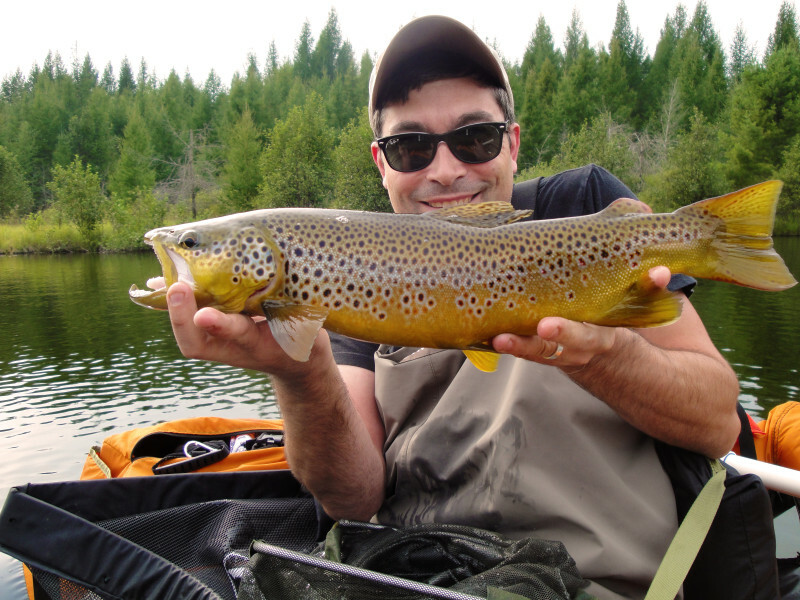 Here’s a look at three ways to catch trout throughout the spring. Keep in mind though that special regulations on some waterways might prohibit the use of some of these tactics. The spring hatches of various insects will determine which fly patterns you should use on your favorite trout waters. So if you can catch one of the insects buzzing around the water closely inspect it and try to match the hatch with one of the flies in your tackle pack. Some of the top fly patterns for tricking springtime trout include midges, mayflies, stoneflies, caddis and streamers. My favorite way to catch trout any time of the year is hopping a marabou jig with ultralight spinning tackle. The size of the jig I select depends on the water flow. In heavy current I throw a 1/8-ounce jig; for light flow I scale down to a 1/16- or 1/32-ounce model. My favorite jig colors include black, white, olive and brown. A variety of spinners, spoons and small crankbaits will also catch plenty of trout in the spring. I have caught lots of trout throughout the years on Roostertails, Mepps Aglias, Little Cleos and Worden’s Flatfishes. Soft plastic worms, plastic grubs and Trout Magnets are also great artificial lures for stocked trout. Nothing beats the real deal if you are allowed to fish bait on your favorite trout waters. 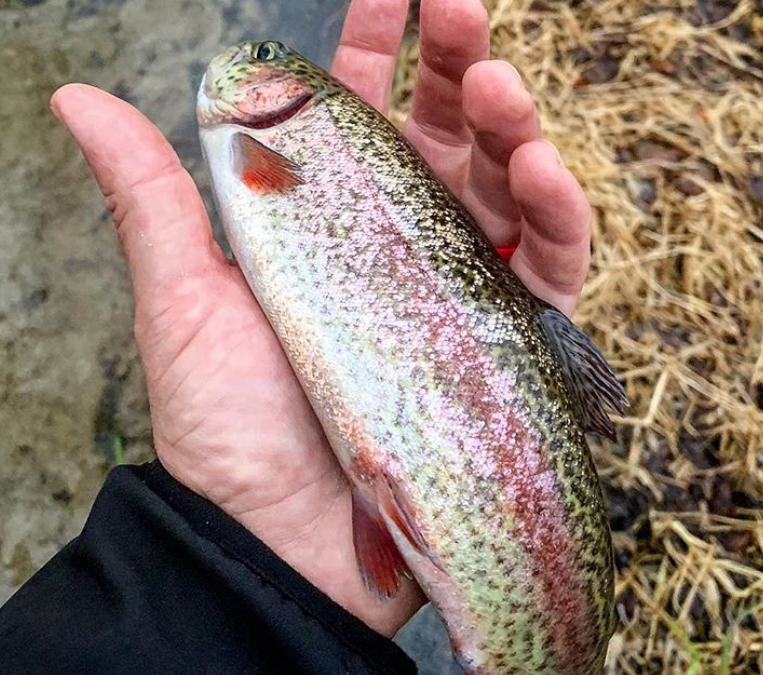 A couple of years ago I took my wife on her first trout fishing trip and she caught a limit of Lake Taneycomo rainbows on pieces of nightcrawlers. Big rainbow and brown trout can be taken on minnows and sculpins in the spring. Salmon eggs always produced limits of trout for me when I was a kid. The best prepared bait I have used for springtime trout is the Berkley PowerBait Trout Bait in various colors.